The Battle of Malta participants have been pitting their talents against PokerSnowie at our tournament stand, where we've made PokerTrainer available on a couple of iPads to dozens of eager challengers. Our Heads Up, best of 3 challenge has proved quite popular, with about 35 taking it up. PokerSnowie live at "The Battle of Malta"
The second edition of the Battle of Malta tournament will be starting in about an hour, at the Casino Portomaso. PokerSnowie is all set and ready to take on any challengers. Tune back in here from 2:30 pm CET for a live broadcast of the PokerSnowie challenge. We will also update regularly on the results of the 5 members of Team PokerSnowie playing in the tournament today. Is Zeljko about to rewrite history? September 2012: 19 year old Zeljko lands in Malta for the first time. This is the start of many firsts for this young aspiring poker player from Montenegro. The next day he sits down at his first live poker tournament: World Poker Tour - Malta. And three days later, he is still playing - at the final table! The easiest decision in Poker is about opening the pot. Nobody has shown aggression yet, the pot size is as small as it can be, so no costly error can be made. 1) This situation happens all the time. In a big portion of your hands you will face this decision. Even if you only make small errors, they'll add up quickly. 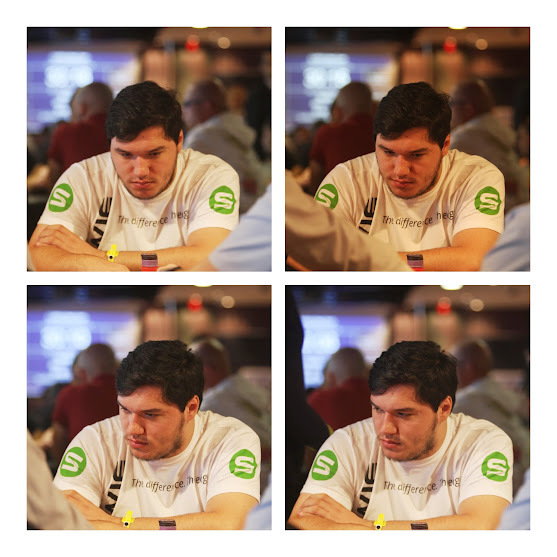 How does PokerSnowie handle bet sizes? Among the many questions we receive about the inner workings of PokerSnowie, how PokerSnowie handles bet sizes must be one of the most common. In this article, we explain how bet sizes works for PokerSnowie and what it means when you analyse your results with PokerCoach. How does bet sizing work for PokerSnowie? The big sign on our home page says it all: it's the end of the PokerCoach free trial, and the perfect time to reflect on what has happened over the past couple of months. The least we can say is it's been a thrilling ride. On June 3rd, we decided to make PokerCoach available for everyone to test for free. While PokerSnowie - the brain behind PokerCoach - had been thoroughly tested under controlled circumstances, we had little idea over how the wider poker community would react once it was unleashed to the world. Natural Innovation: The game of poker has experienced astronomical growth in the last decade. The game is becoming ever more competitive, and the level of play is therefore already on the rise. In such a popular industry, it’s inevitable that innovation will naturally occur. This is how we view PokerSnowie and its impact on the sector, as the suite of products that we offer can help players of all abilities to improve their level of play. Whether teaching the intricacies of the game to a novice, or helping a professional to refine their play, there will always be a desire for self-improvement from poker players, and this is what PokerSnowie provides. It looks like comeback king Erol is having a brilliant morning on the second day at EPT Bulgaria, more than doubling his stack. Vladomir continues to look strong but unfortunately Ljubo is out. As day 1b of Eureka Poker Tour Bulgaria comes to an end, 3 members of team PokerSnowie will make it to day 2. Vladomir leads the team in 17th overall position with 88,000 chips. Ljubo experienced a roller coaster day to end up with 35,000 chips, whilst Erol will need to make some early moves to grow back his stack up from 14,800. Despite spirited efforts Dejan, Drasko and Ivan will have to watch the rest of the event from the side, or enjoy the baking sun on one of Varna's many beaches. Check out all our photos.